RIP David Bowie. A great loss. So many legends gone within a year. This one of the biggest. A sad day. Thanks a lot for what you shared with us since 1964, Mr Bowie, that was great art. I remember David Bowie of the song Jean Genie and Rebel Rebel. In the mid-seventies David Bowie and Iggy Pop came to Berlin. Edgar and Monika Froese helped them at various stages, up to TD sharing their Berlin rehearsal stage built in an old theatre with both of them. There was even talk between David Bowie, Edgar Froese and Brian Eno of some musical collaboration, but there no publicly known musical output of this period. Did took a visit 4 weeks ago, my personal interst was to find something about Hauptstrasse 155 in Berlin. No mention at all about Edgar Froese. Exposed the synth which Brian Eno handed over to David Bowie. In the years 1976 - 78 David Bowie and his family were recurring guests at our apartment in Berlin Schöneberg (Schwäbische Strasse 7). While the adults were in deep conversation I have often played with his son "Zowie" for many hours. saying: "It's a friend of Major Tom". Thanks for your music and memories Mr. Bowie. See next link, it's in German. Some good info this. I just bought Low (and several other albums). Looking forward to listen more to Warszawa and other songs. Intriguing artist that will be missed! Bianca wrote a very nice message on TD's official Facebook. Bowie is already missed today. 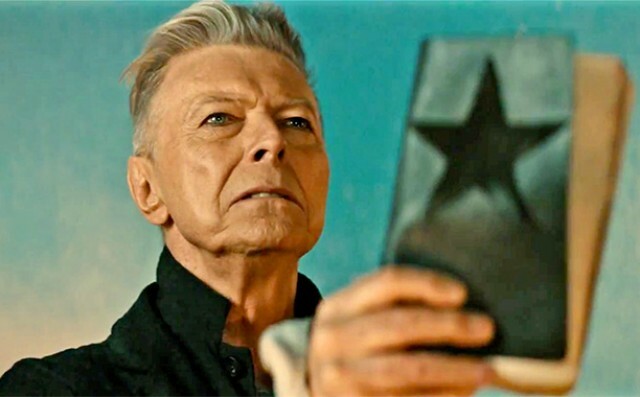 And I think Blackstar will be considered as an important album. Bummer ... I know ZERO German ... ohh well! Limit the audience!